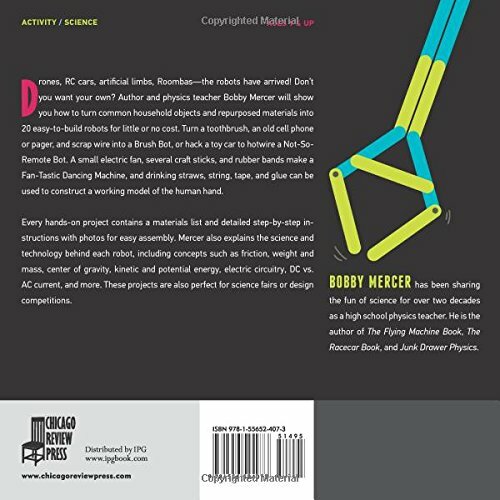 Drones, RC cars, artificial limbs, Roombas—the robots have arrived! Don’t you want your own? 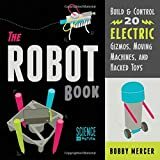 Author and physics teacher Bobby Mercer will show you how to turn common household objects and repurposed materials into 20 easy-to-build robots for little or no cost. 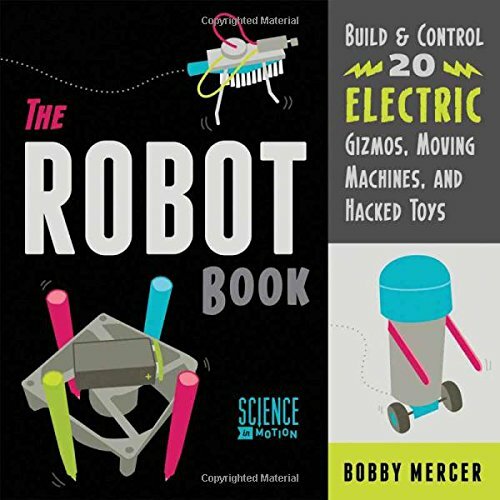 Turn a toothbrush, an old cell phone or pager, and scrap wire into a Brush Bot, or hack a toy car to hotwire a Not-So-Remote Bot. 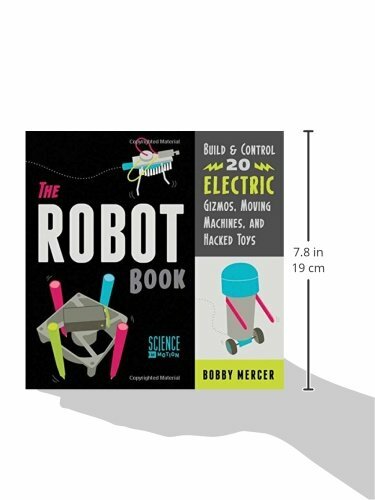 A small electric fan, several craft sticks, and rubber bands make a Fan-Tastic Dancing Machine, and drinking straws, string, tape, and glue can be used to construct a working model of the human hand.